--A life full of music. That's the story of Ricky Skaggs. By age 21, he was already considered a "recognized master" of one of America's most demanding art forms, but his career took him in other directions, catapulting him to popularity and success in the mainstream of country music. His life's path has taken him to various musical genres, from where it all began in bluegrass music, to striking out on new musical journeys, while still leaving his musical roots intact. Ricky struck his first chords on a mandolin over 50 years ago, and this 14-time Grammy Award winner continues to do his part to lead the recent roots revival in music. With 12 consecutive Grammy-nominated classics behind him, all from his own Skaggs Family Records label (Bluegrass Rules! in 1998, Ancient Tones in 1999, History of the Future in 2001, Soldier of the Cross, Live at the Charleston Music Hall, and Big Mon: The Songs of Bill Monroe in 2003, Brand New Strings in 2005, Instrumentals in 2007, Salt of the Earth with The Whites in 2008, Honoring the Fathers of Bluegrass: Tribute to 1946 and 1947 in 2009 and Ricky Skaggs Solo: Songs My Dad Loved along with Mosaic in 2010), the diverse and masterful tones made by the gifted Skaggs come from a life dedicated to playing music that is both fed by the soul and felt by the heart. Ricky was born on July 18, 1954 in Cordell, Kentucky, and received his first mandolin at the age of five after his father, Hobert, heard him harmonizing with his mother from across the house as he played with his toys. Two weeks after teaching him the G, C and D chords, Hobert returned from working out of town shocked to see his young son making chord changes and singing along. He soon earned a reputation among the locals in his community. When the legendary Bill Monroe came to Martha, Kentucky for a performance, the crowd wouldn't let up until "Little Ricky Skaggs" got up to play. The father of bluegrass called six-year-old Skaggs up and placed his own mandolin around his neck, adjusting the strap to fit his small frame. No one could have imagined what a defining moment that would be in the life of the young prodigy. 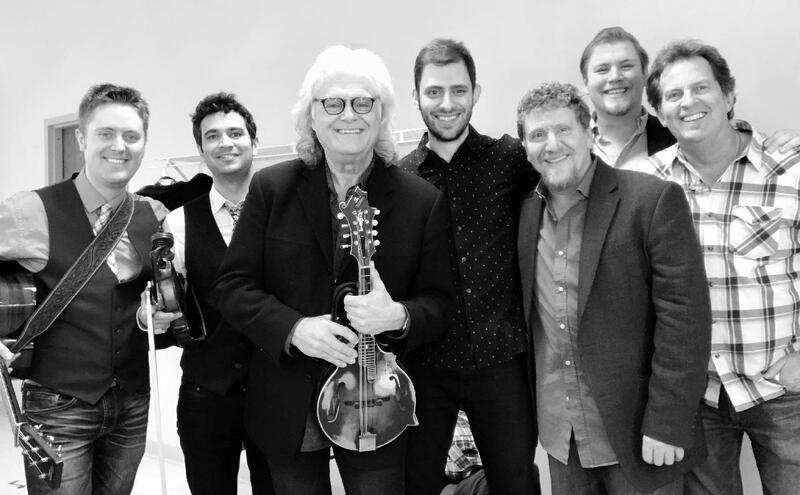 By age seven, Skaggs performed with bluegrass legends Flatt & Scruggs on their popular syndicated television show, for which he earned his first paycheck for a musical performance. In 1971, he entered the world of professional music with his friend, the late country singer, Keith Whitley, when the two young musicians were invited to join the band of bluegrass patriarch Ralph Stanley. Ricky soon began to build a reputation for creativity and excitement through live appearances and recordings with acts such as J. D. Crowe & the New South. He performed on the band's 1975 debut album for Rounder Records, which is widely regarded as one of the most influential bluegrass albums ever made. A stint as a bandleader with Boone Creek followed, bringing the challenges of leadership while giving him further recording and performing experience. In the late 1970s, Ricky turned his attention to country music. Though still in his 20s, the wealth of experience and talent he possessed served him well, first as a member of Emmylou Harris' Hot Band and later as an individual recording artist on his own. With the release of Waitin' for the Sun to Shine in 1981, Skaggs reached the top of the country charts and remained there throughout most of the 1980s, resulting in a total of 12 #1 hits. In 1982, he became a member of the Grand Ole Opry, the youngest to ever be inducted at that time. As his popularity soared, he garnered eight awards from the Country Music Association (CMA), including "Entertainer of the Year" in 1985, four Grammy Awards, and dozens of other honors. These achievements also placed him front and center in the neo-traditionalist movement, bringing renewed vitality and prominence to a sound that had been somewhat subdued by the commercialization of the 'Urban Cowboy' fad. Renowned guitarist and producer, Chet Atkins, credited Skaggs with "single-handedly" saving country music. In 1997, after Ricky's then-current recording contract was coming to an end, he decided to establish his own record label - Skaggs Family Records. Since then, Skaggs and Kentucky Thunder have released an amazing 12 consecutive Grammy-nominated classics, (8 of which went on to earn the revered award) while also opening the label to a variety of other musical artists, all the time keeping emphasis on bluegrass and other forms of roots music. Ricky and Skaggs Family Records have had the privilege of working with many musical talents including The Del McCoury Band, Jerry and Tammy Sullivan, Blue Highway, The Whites, Mountain Heart, Melonie Cannon, Ryan Holladay, Keith Sewell, Cherryholmes, and Cadillac Sky. 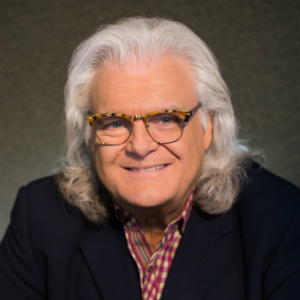 Ricky's first release for Skaggs Family Records, Bluegrass Rules!, set a new standard for bluegrass, breaking new sales records in the genre, winning Skaggs his sixth Grammy Award, and earning the International Bluegrass Music Association's (IBMA) Album of the Year Award. In 1999, his second all-bluegrass album, Ancient Tones, won a Grammy Award for Best Bluegrass Album - his second consecutive Grammy in that same category. Just one year later, Ricky won his eighth Grammy Award in the Best Southern, Country, or Bluegrass Gospel Album category for Soldier of the Cross, his first all-gospel recording project. Ricky made further progress with the release of his fourth bluegrass album in 2000, Big Mon: The Songs of Bill Monroe, a project which featured an all-star cast of musicians ranging from Dolly Parton, Patty Loveless and Travis Tritt to Joan Osborne, John Fogerty and Bruce Hornsby, and celebrated the music and the life of Ricky's mentor, Bill Monroe. Big Mon received much critical acclaim, including a Grammy nomination for Best Country Collaboration with Vocals. The album was re-released by Lyric Street Records in 2002 under a new name, Ricky Skaggs and Friends Sing the Songs of Bill Monroe. His fifth bluegrass album, History of the Future (2001), a timeless collection of both traditional bluegrass standards and newly conceived acoustic gems received rave reviews and industry accolades, including a Grammy nomination for Best Bluegrass Album and an IBMA nomination for Album of the Year, once again placing Skaggs among the leading innovators in the genre. Skaggs' first all-live album with Kentucky Thunder, Live at the Charleston Music Hall (2003), led to an IBMA Award for Instrumental Group of the Year - an award Skaggs and Kentucky Thunder has taken home 8 times in the last decade. The decision to record a live album was an obvious one for Skaggs. From a string of high-profile tour dates with the Dixie Chicks in 2000, to his position as host of the unprecedented "All*Star Bluegrass Celebration" which aired nationwide on PBS in 2002, to his participation in the wildly successful 41-city 'Down from the Mountain' tour - Ricky has become one of bluegrass' most dynamic and sought-after live performers. He counts the current configuration of Kentucky Thunder among the best group of musicians he has ever worked with. "This group of guys meets my approval every night," Ricky says. "Each and every one of the pickers in Kentucky Thunder totally amazes me in every show...and that, to me, outweighs any award we could ever win." The all-star lineup of Kentucky Thunder includes Andy Leftwich (fiddle), Paul Brewster (tenor vocals, rhythm guitar), Eddie Faris (baritone vocals, rhythm guitar), Scott Mulvahill (bass, bass vocals), Russ Carson (banjo) and Jake Workman (lead guitar). Live at the Charleston Music Hall was honored in 2004 with a Grammy Award for Best Country Performance by a Duo or Group for the Harley Allen-penned track, "A Simple Life."